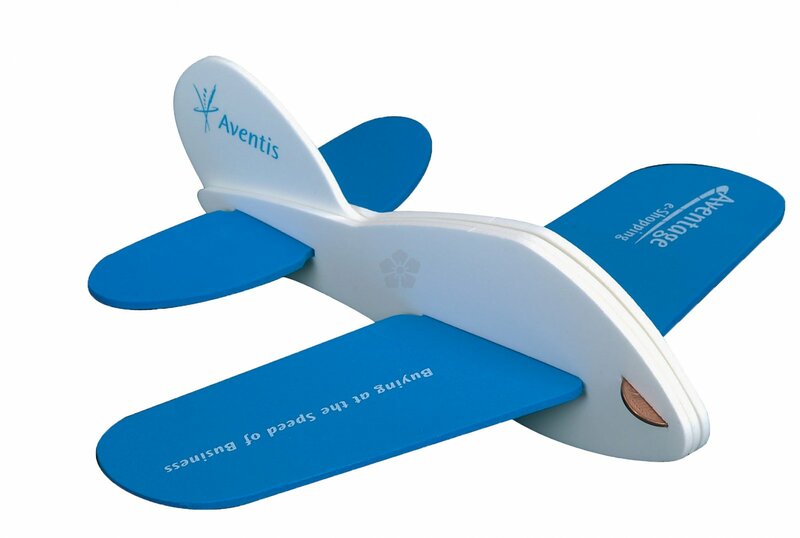 It's hard to resist throwing this plane across the office! Made from EVA foam material, it is the perfect indoor toy. 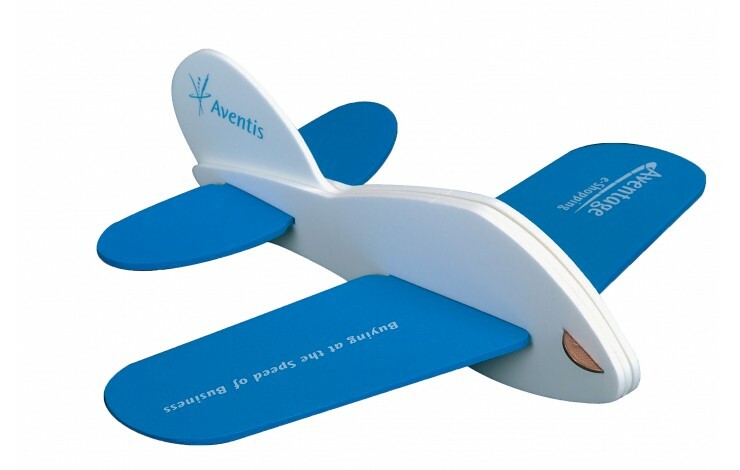 Our personalised foam plane is produced in Europe and comes in a wide range of colour combinations. Supplied individually poly bagged in 5 pieces for self assembly. Prices shown for printed to the top of the main wings, left and right side. Further print positions possible - POA. Tailor the colour to your brand. Put a smile on your recipients face!